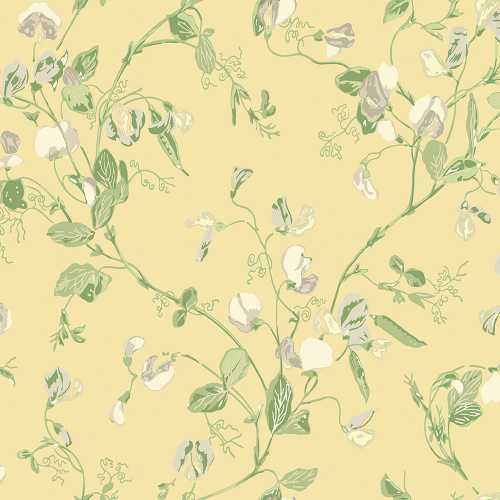 Full of colour and quirkiness, the Sweet Pea 100/6029 is a bright and vibrant yellow colourway featuring a block-coloured yellow background, a sporadic sweet pea vine and circular shaped cream and beige sweet pea flowers for a soft and subtle floral sweet pea wallpaper design. Available in five unique colour options, the Sweet Pea 100/6029 is one of the bolder colourways with the background consisting of a block bold colour rather than a pastel off-white shade. The curved lines of the sweet pea vine engages the viewer and encourages their eye to travel around the wall and therefore your interior space. The vine features little details such as squiggly lines for a quirky and detailed wallpaper design. 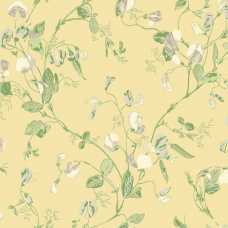 The Sweet Pea wallpaper design is a Cole and Son favourite and has been reworked in a series of five modern colourways for an innovative and upbeat collection. 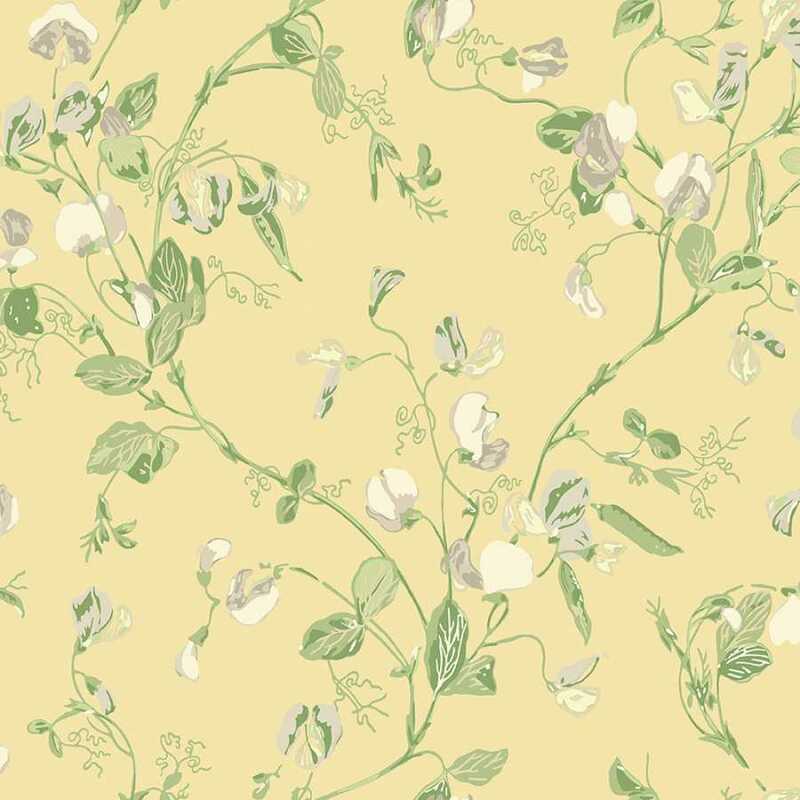 The five Sweet Pea colourways consist of a range of soft pretty pinks, yellows, violets, greys and blues, on chalky grounds of delicate neutrals and a subtle yellow. 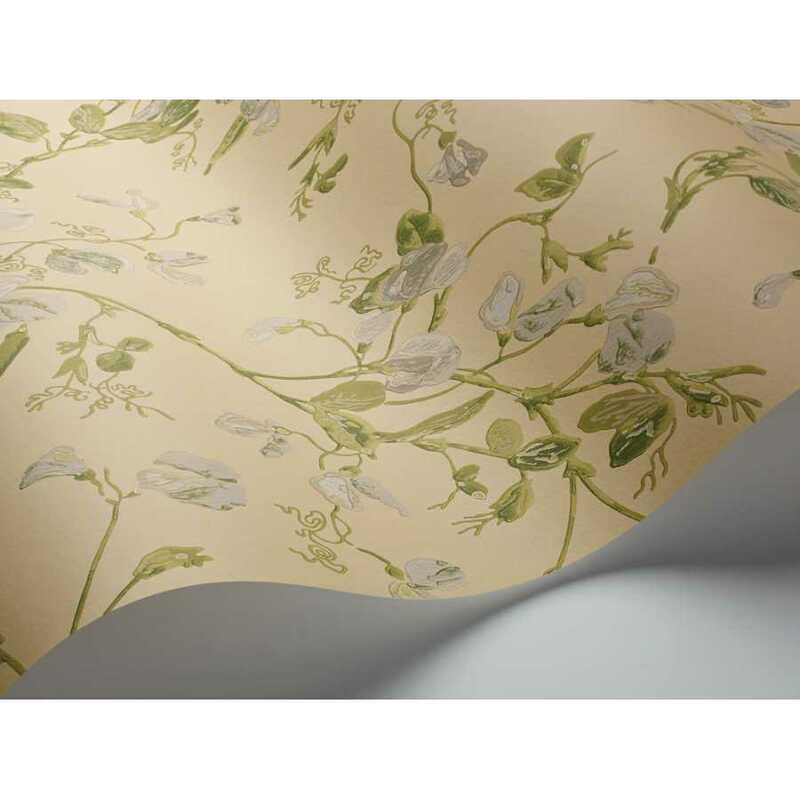 The Sweet Pea 100/6029 measures at 52cm width by 10 meters’ length and has a repeat of 38cm per roll. This beautiful wallpaper design would suit any room in your home or commercial space.